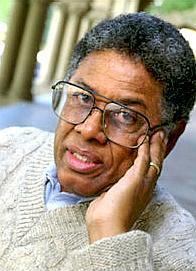 Dr. Sowell is our greatest living philosopher and he is black, which means of course, that if you disagree with him it automatically makes you a racist. Many years ago, as a young man, I read a very interesting book about the rise of the Communists to power in China. In the last chapter, the author tried to explain why and how this had happened. Among the factors he cited were the country’s educators. That struck me as odd, and not very plausible, at the time. But the passing years have made that seem less and less odd, and more and more plausible. Today, I see our own educators playing a similar role in creating a mindset that undermines American society. This entry was posted in Academic Misconduct, Culture War, Education, Obama, Thomas Sowell, Treason, True Talking Points and tagged communist newspapers, current-events, history of the united states by howard zinn, politics, society, thomas sowell. Bookmark the permalink.